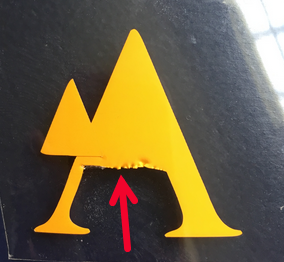 When cutting designs using MTC and my silhouette, some designs look as if the blade has jumped off track causing the design to be skewed as seen in the image of the A. Help Please. although you blade offset maybe not correct as the corner look a little odd maybe that is how this font is ? 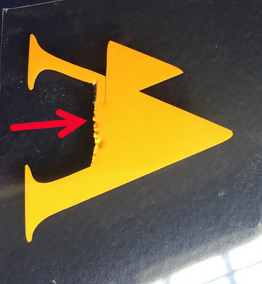 I agree with @Crazy_Mr_Zing - check your offset, and for bits stuck in the blade holder. 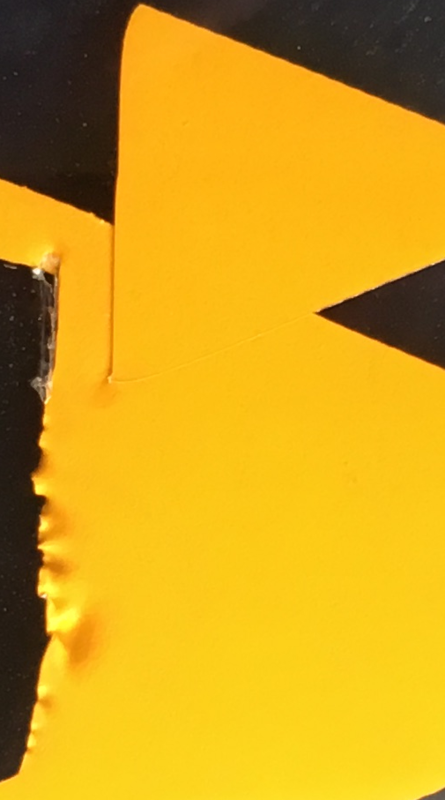 Also this could be an indication of a very badly chipped blade which may be hard to see with the naked eye. Thank you. 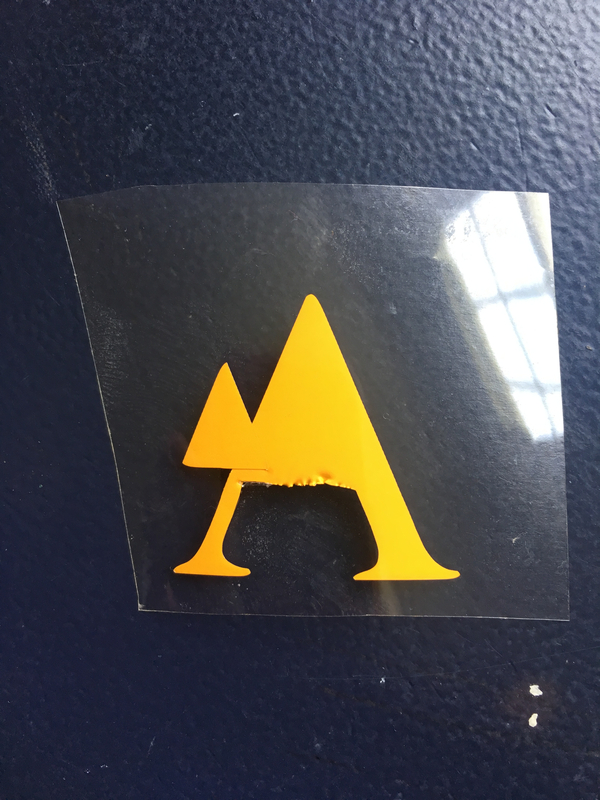 Would that cause the alignment to be so skewed for the center part of the A? if your using a mat the area was not stick down well ? Oh I didn't realise the small triangle was part of the same cut shape ?